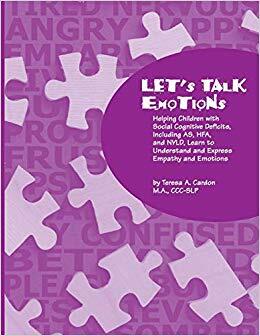 A collection of social and emotional learning (SEL) resources for educators and other adults who work with children and youth. It’s my first time here, tell me more. Resources for supporting Refugee Students and families in schools. Promoting social and emotional learning has become a major focus in schools and youth-serving organizations, as research continues to document the value and importance of such training for both academic and life success. The Resource Finder provides a variety of resources to help you learn about SEL, apply teaching methodologies and assess your efforts. LEARN about the social-emotional learning (SEL) movement, and find out what SEL is and why fostering SEL is critical to both school and life success. APPLY effective strategies for promoting social and emotional skills in children and youth through available programs, lesson plans, books and videos, curricula, and activities. ASSESS the efficacy of your efforts to promote SEL competencies in children and youth and learn about the importance of “evidence-based practices” in fostering SEL. 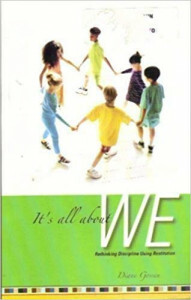 By learning about mental health and well-being and supporting children who experience mental health difficulties, adults will be better able to create contexts and classrooms in which children feel safe seeking help when needed and in which biases and stigmas are reduced, enhancing children’s feelings of acceptance, belonging and well-being. LEARN about mental health literacy and the difficulties that children and youth face and why it is important for adults to promote mental well-being so that all students can get the most out of their educational experiences. Find out how to SUPPORT children and youth who experience mental health difficulties by providing appropriate accommodations and by creating safe and accepting learning environments that reduce stigma and foster mental well-being so that all students can learn optimally. What is the link between SEL and mental health? We hope to make the SEL Resource Finder a collaborative effort and to this end, encourage you to contribute to the site. If you have a program, project, activity, lesson, curriculum, book, video or other resource that you have created that promotes SEL and/or mental well-being, we encourage you to submit resource suggestions for review. All submitted resources are reviewed before being added to the collection. If you have feedback about the site, wish to report a broken or missing link to one of the resources feel free to let us know. Also if you have a suggestion or recommendation for a program, link, website, or other SEL or mental health resources that we have not included please contact us. The SEL Resource Finder could not have been developed without the generous support and encouragement of the Edith Lando Charitable Foundation whose vision of using social media to promote social-emotional learning in Canada and around the world served as an impetus for this resource. Find out more about who made this project possible. Rethinking discipline practices? Try reading, “It’s all about We”.